Excellent quality, well made and surprisingly heavy. Much better quality of finish and colour than others sold by different suppliers. Excellent quality. Fast and neat shipping. I'm very satisfied. Excellent. 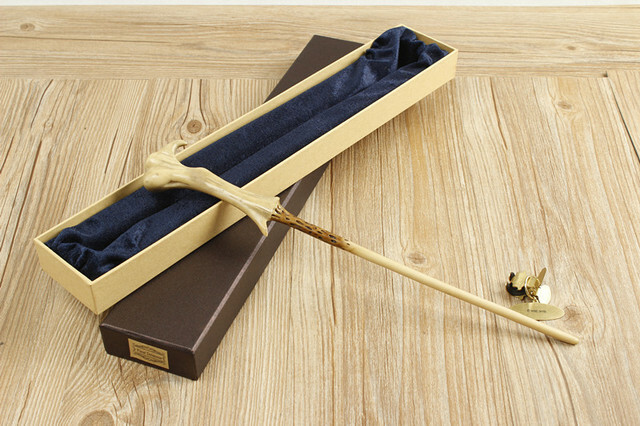 The wand is exactly as pictured, beautifull. Fast shipping. Good store. The wand went to peter for a month. All as in the description. Quality goods, store recommend. Item as described, boxes were damaged, Boxes spit like torn at seams both top and bottom. Very fast delivery, very well packed. Great quality. I have now purchased, Hermione, Harry, Dumbledore, Luna and Lord Voldermorts wands. Will continue with this supplier, hopefully boxes are in better condition next time.